Beta vulgaris is a highly variable taxon comprising the cultivated forms chard, beetroot, fodder beet, and sugar beet (Beta vulgaris L. ssp. vulgaris var. altissima Döll). The species is diploid with 2n=18 chromsomes and an estimated genome size of 714-758 Mbp. 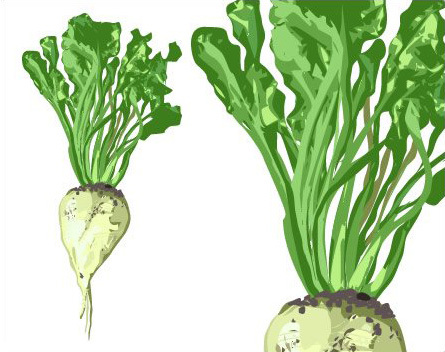 Among angiosperms, sugar beet is classified into the order of Caryophyllales (Amaranthaceae family). Funding by the German Federal Ministry of Education and Research (BMBF) has permitted the generation of molecular resources such as BAC libraries, ESTs, genetic maps, and genomic sequences from this species. Here, we present data generated in the context of the projects GABI Beet Physical Map, GABI Future BeetSeq, and Plant2030 AnnoBeet. Current work on the genomes of cultivated beet and wild beets is funded by the Austrian Research Promotion Agency (FFG) in the context of the BeetSelect project. If you make use of the data please cite our publications.